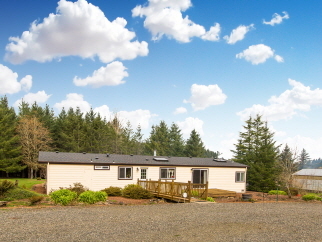 Close in country, hard to find level acreage of this size and in this location. Quiet road, but nearby all conveniences, easy access to PDX. Home set well back off the road and private. Newer roof and siding. All rooms good in size. Country kitchen, living room and fam room, woodstove, lam floors. 20x30 shop with concrete floor. 26x28 carport. Would make a great horse set up, pastures & trails! Marketable timber. Great for nursery stock and a future investment. In the UGB. Endless possibilities. Seller will consider an owner carried contract with large down.